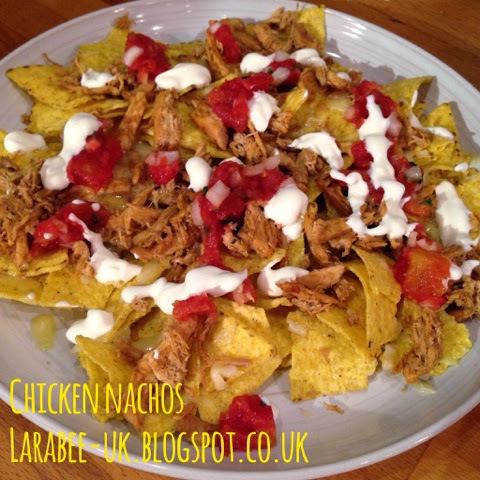 This is one of the hubs favourite meals, it's not particularly healthy but it's quick, easy and scrumptious, I serve my veggie version without the chicken and with guacamole or avocado. I keep this even simpler by using my storecupboard salsa and having a supply of the Mexican chicken in the freezer. 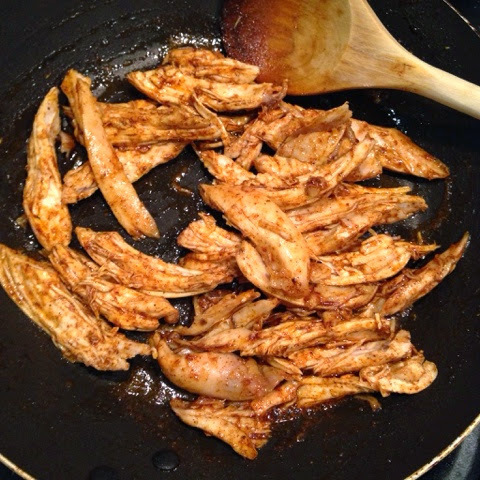 To make the Mexican chicken I sprinkle cooked chicken with 2 tbsp my fajita spice mix and a tbsp of olive oil, here I've used the breast from a whole chicken but you could use fresh chicken breasts, cooking them through first. Once the chicken is cooked, put a layer of tortilla's on a microwaveable plate, top with chicken, sprinkle with cheese and microwave until cheese has melted (800 watt 1 min) then add salsa and soured cream. And that's it!! !